So glad you dropped in. I have had such a good afternoon. Saturday’s blog a new technique, right? Well, I had decided that today was the day. and added a few stitches and strands to my artwork. I have become very aware of how safe my art still is, how clean. Artists like Karen and Sam Crowe have a unique talent for making brilliantly loose and tattered art, which I struggle with. But today was the day I decided to just try something new for me. didn’t know how long it was going to take. 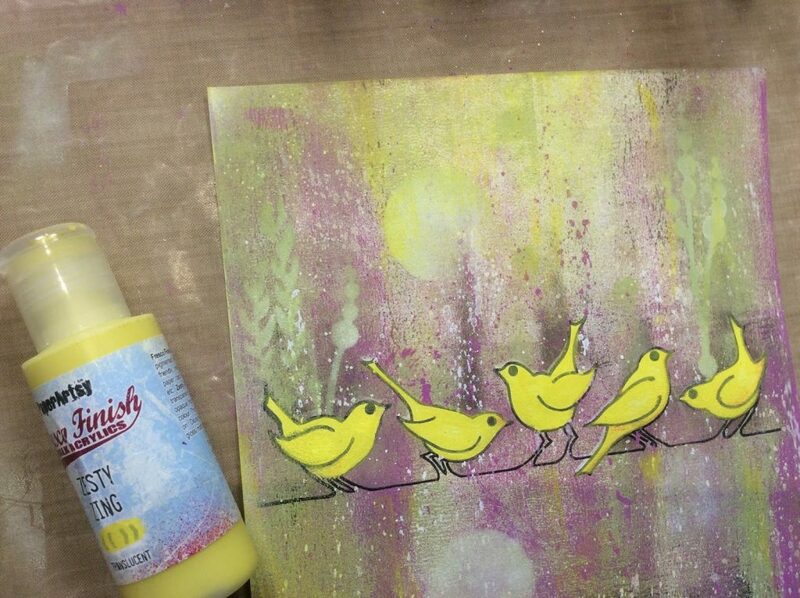 Just knew there were some paints, some birds and a Pfaff involved! and all I could find was green cotton for the top thread! 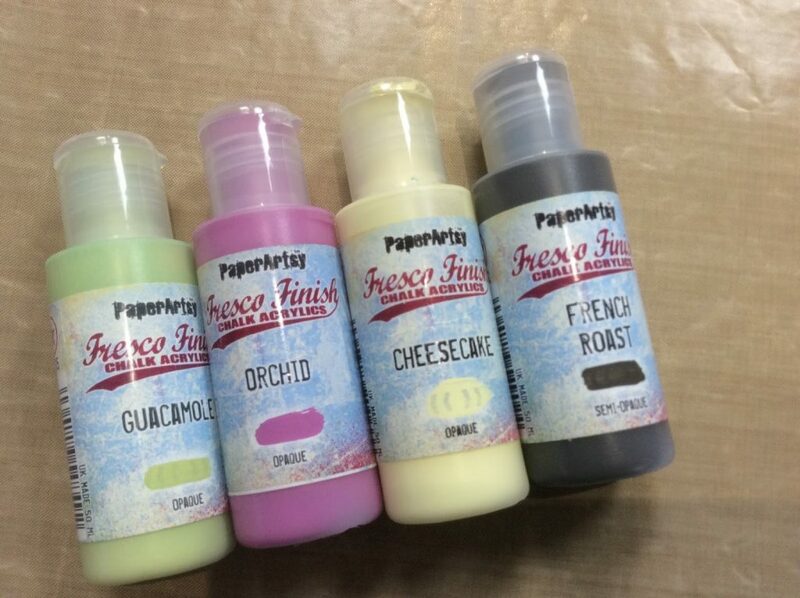 These Fresco Chalk Paints are superb. We stock the whole range. around the card with the different colours. If the latter happens, simply get out the Cheesecake! 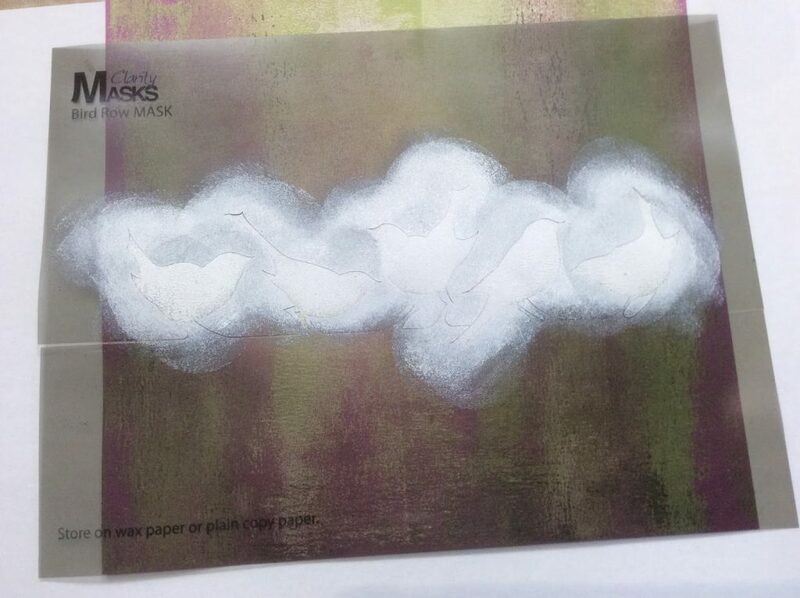 let it dry – and start again. 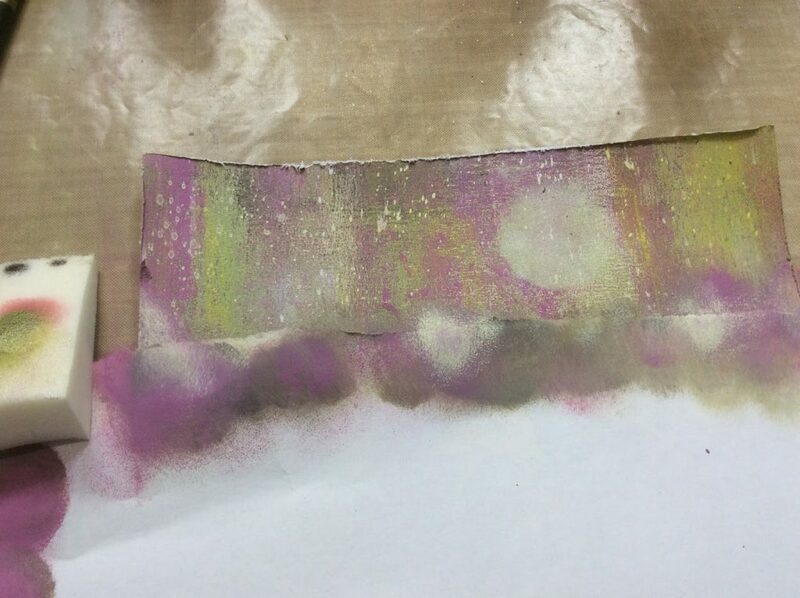 over the painted Gelli Card. 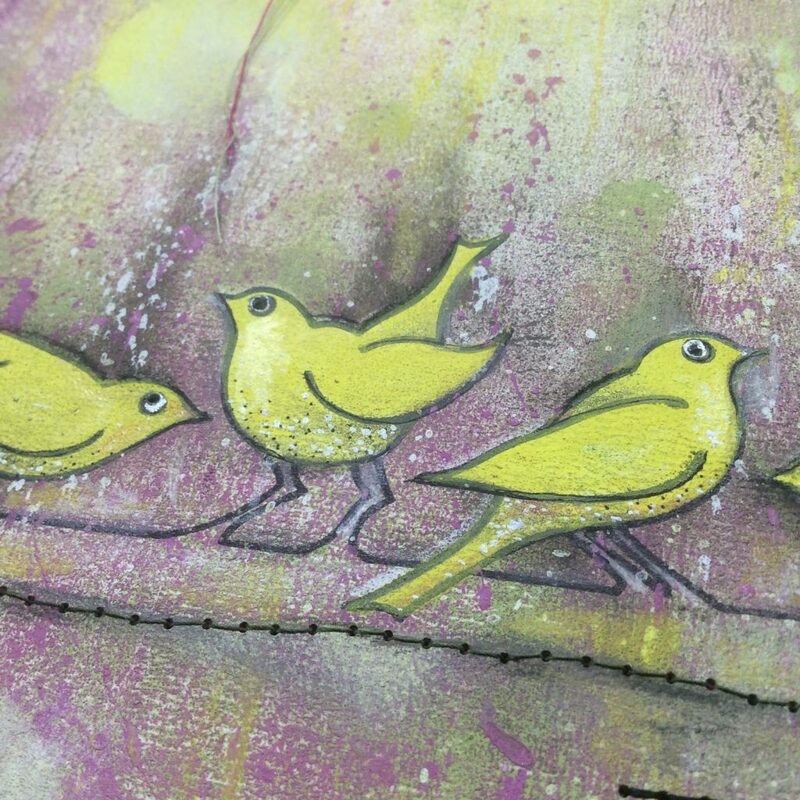 to paint the birdies white. Next, stamp the stamp over the top using black Archival. Almost got it! Good enough! 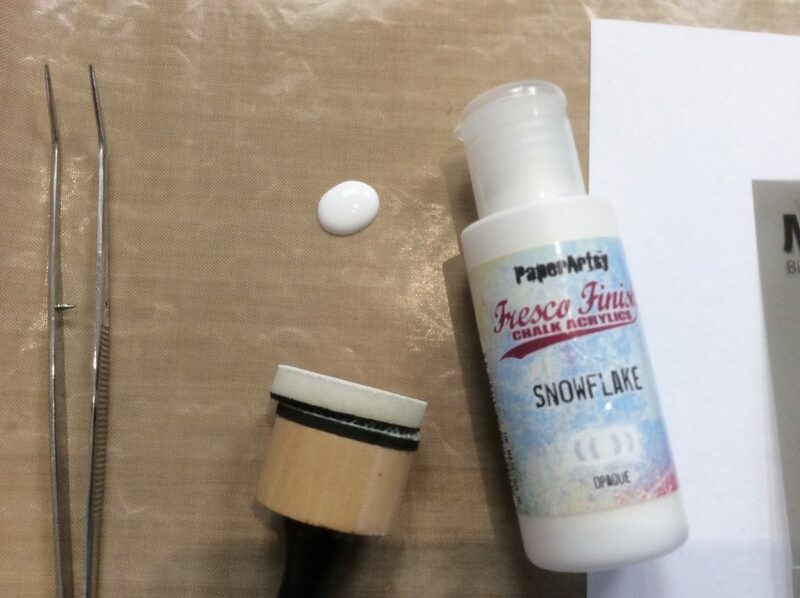 and stencil in the Japanese reeds into the background, using the Guacamole and Snowflake paints. 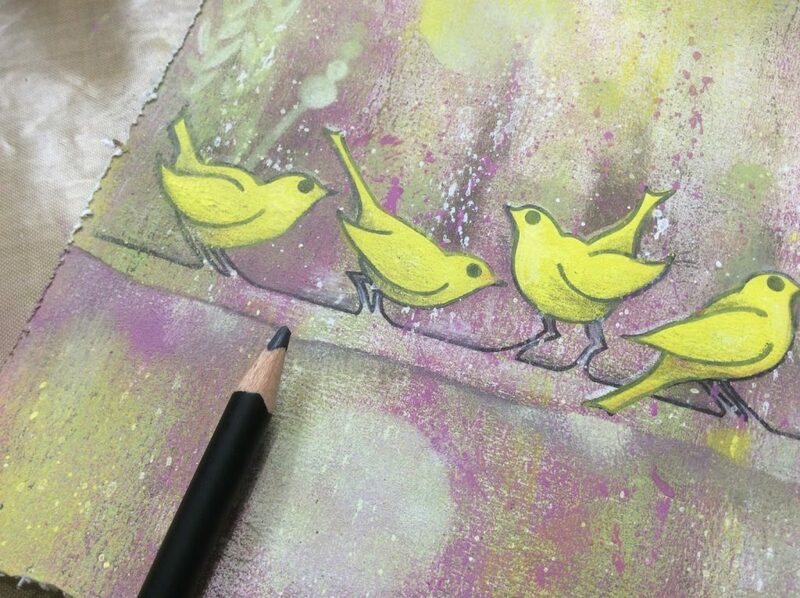 The paint works really well through the stencils using these mini blending tool. I tried make up sponges too, which worked. Yes I know. I asked myself the same question at this point. What about the mask? Is it washable???? 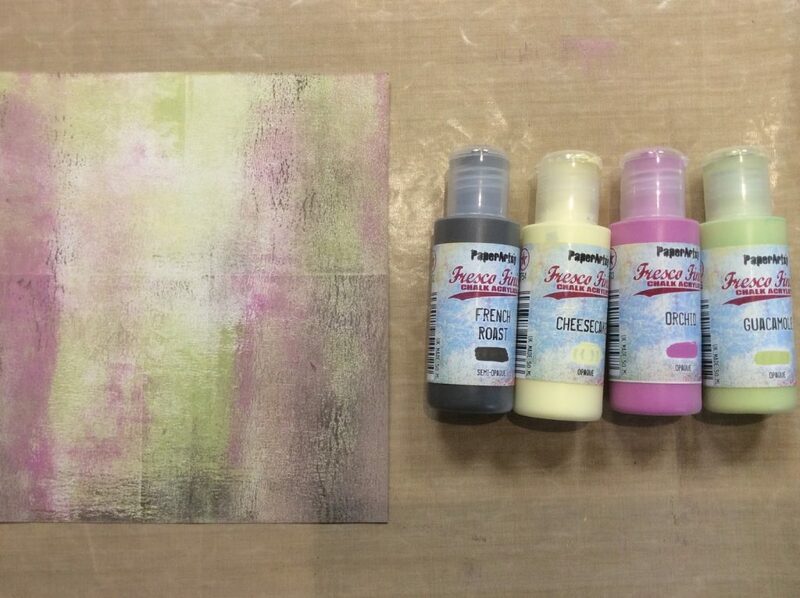 Zesty Zing is one of the translucent paints, so it is ideal for painting over the white. 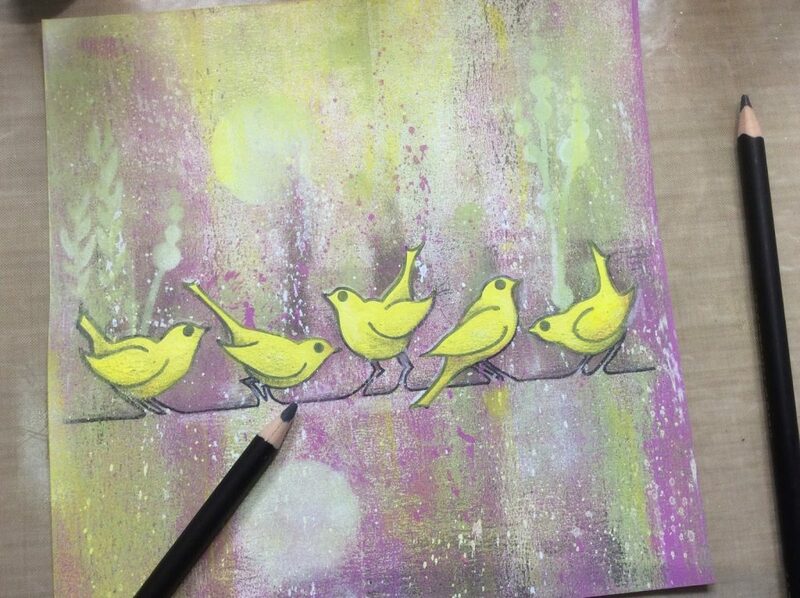 I added a little water and then painted the birds. Went over the black lineart too, to tone it down. Spectrum Noir pencils work great over acrylic….. I used mainly the Floral tin today. 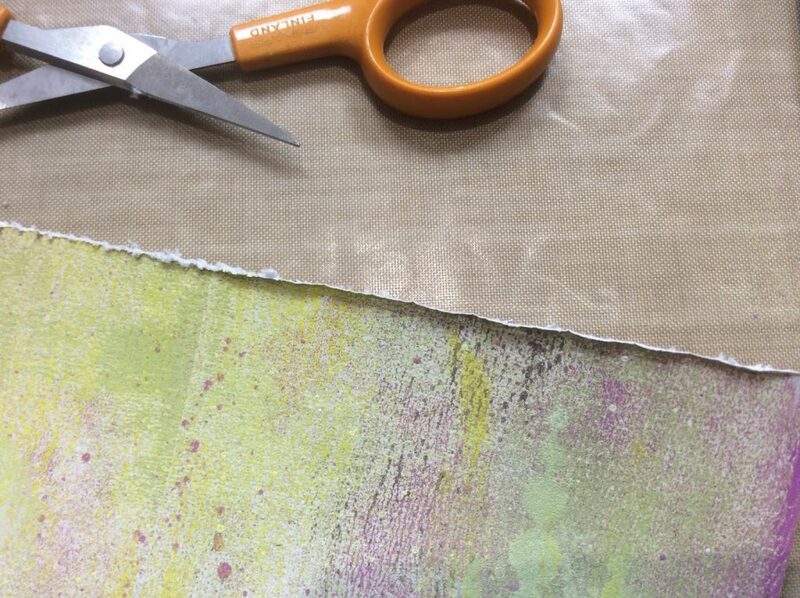 Roughed up the edges with a pair of scissors…. Decided to make a branch…. 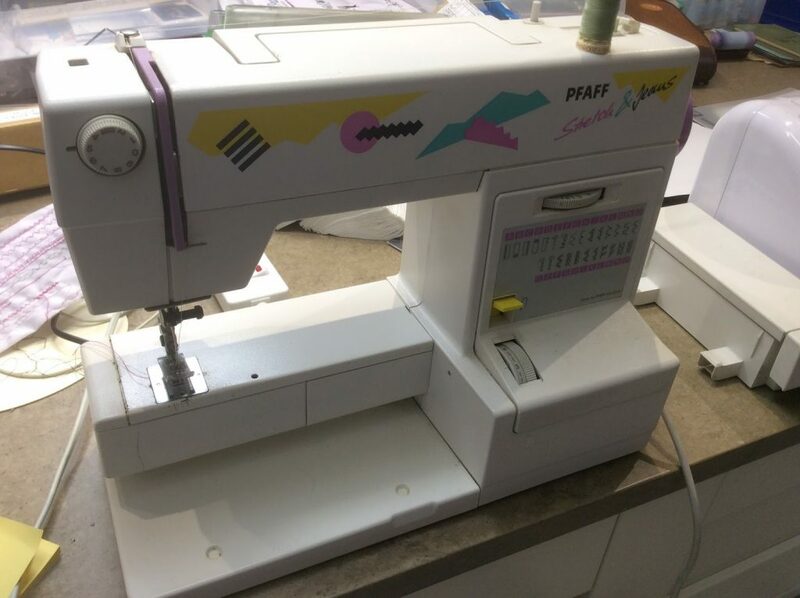 Time for the vintage Pfaff! Haven’t used it for years, but it’s like riding a bike. The hardest bit was threading the needle!! It is soooooo lovely sewing card! Or should I say sewwwwwwww lovely! So I cut a piece of black card just a tad larger, and off I zoomed. I got such a kick out of this!! I really could have done a Happy Dance! Mounted it on a larger Mount board. Because this piece, my friends, is going in the Hallway gallery. but it was the first. then added the black pupils with a Micron Pen. The black pen clogs up from time to time, so you have to lightly run it over copy paper to unclog it. 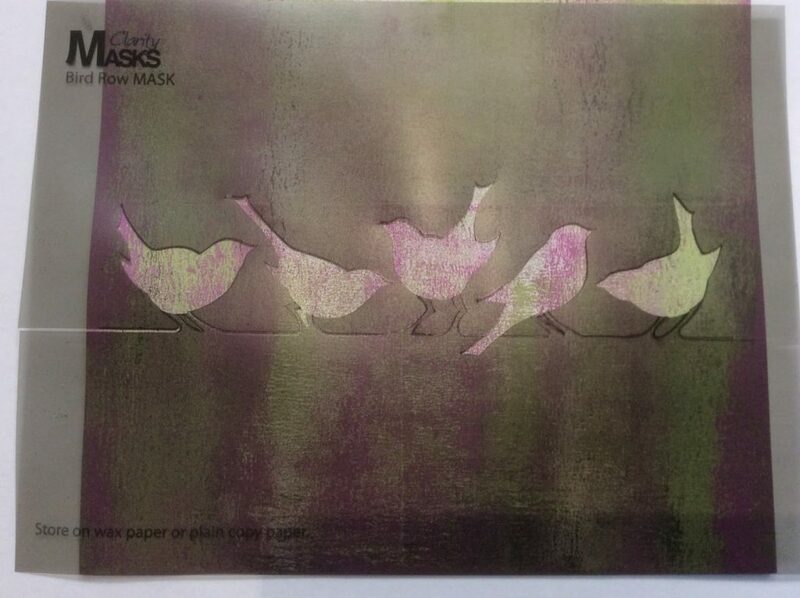 And salvage the birdie mask! Warm soapy water will sort it out. Have a lovely evening, and I will be back tomorrow. Oh wow! That looks brilliant. Haha….last time I got my sewing machine out, it started to smoke. Hopefully it was just dusty..'cause you make me want to try again. You, and your blog, are so uplifting. In my head, I can hear the entire conversation. 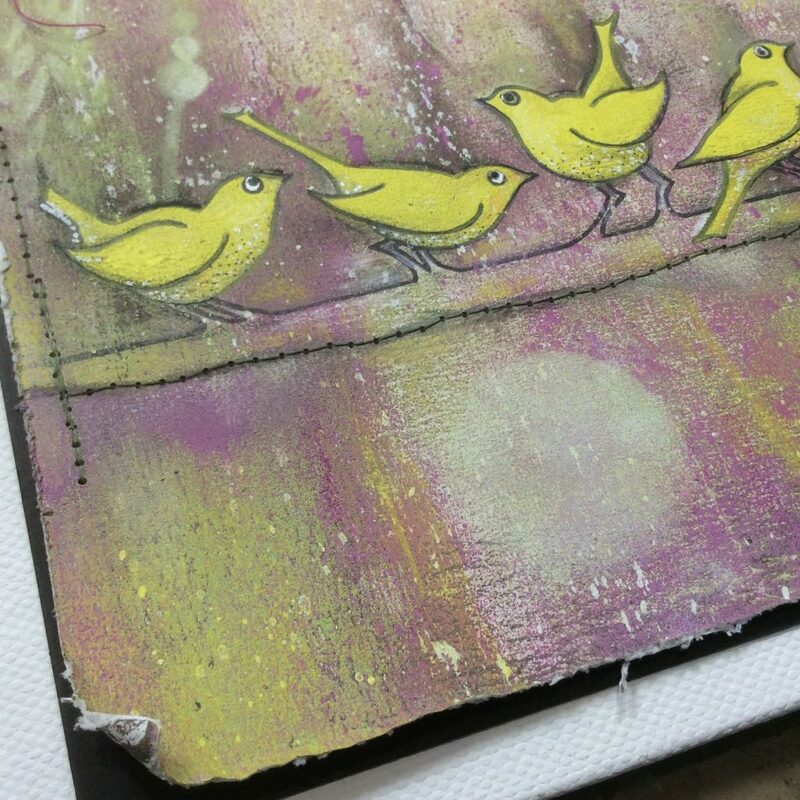 I love the birds…..I have never tried sewing on my pieces….maybe I will now. 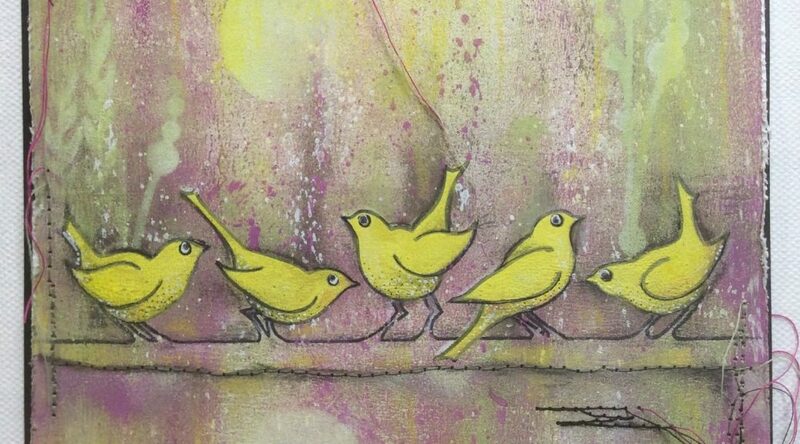 What an amazing piece of artwork, love these cheeky little birds on their branch. The stitching adds an interesting dimension to the project. It will look fab in your gallery. Enjoy your evening. Looks like you've had loads of fun, throwing caution to the wind and letting go! When I finally move house my Singer may actually sit in my craft room and who knows may have to give this type of thing a go! I realise everyone else is telling you how wonderful and brilliant this piece is -but Barbara, you are NOT Karen or Sam!! You have your own inimitable style and really you don't need to change it. I love this card -but only up to the point before you added the really messy stitching! OK a neat stitched border -no ends -and branch, but the rough edges and loose threads spoil it for me -it just isn't 'you' -and we've been following your career since we visited you at Gillingham Savacentre and Tunbridge Wells when you demo'd in a mall there (and I still have an inkpad I bought back then!!). So please just continue be yourself . 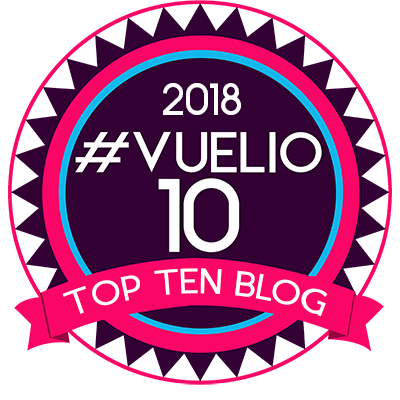 We always look forward to your blogs and TV shows and find so much inspiration there. I'm afraid I'm with Janet on this. I prefer all the art work you did in the past, but I'm not so keen on the new things you are doing now, but that's just me… I understand that with all the demos you have to do, it must get a bit boring doing the same old thing, and you want to try out new techniques. I still have all your DVDs to fall back on for the things I like and am comfortable with. I still enjoy reading your blog and I make a note of things I do like. Oh this is great. Sew wonderful. 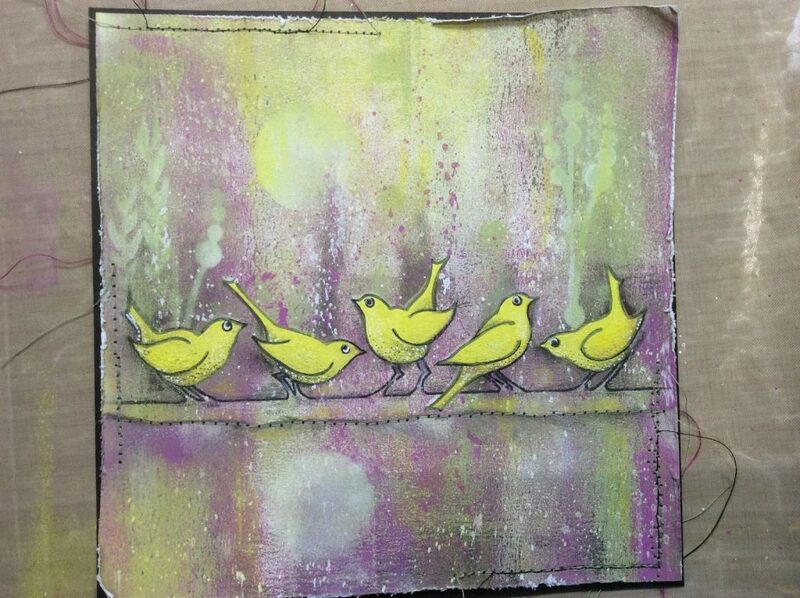 Love the mixed media look of this. It really does deserve to hang in your gallery. I've got a machine with free motion embroidery and this piece has given me the encouragement to try it on card with fabric. Errrmmmm me and sewing definetly don't go together! I have been known to staple up a hem on a pair of trousers in the past! 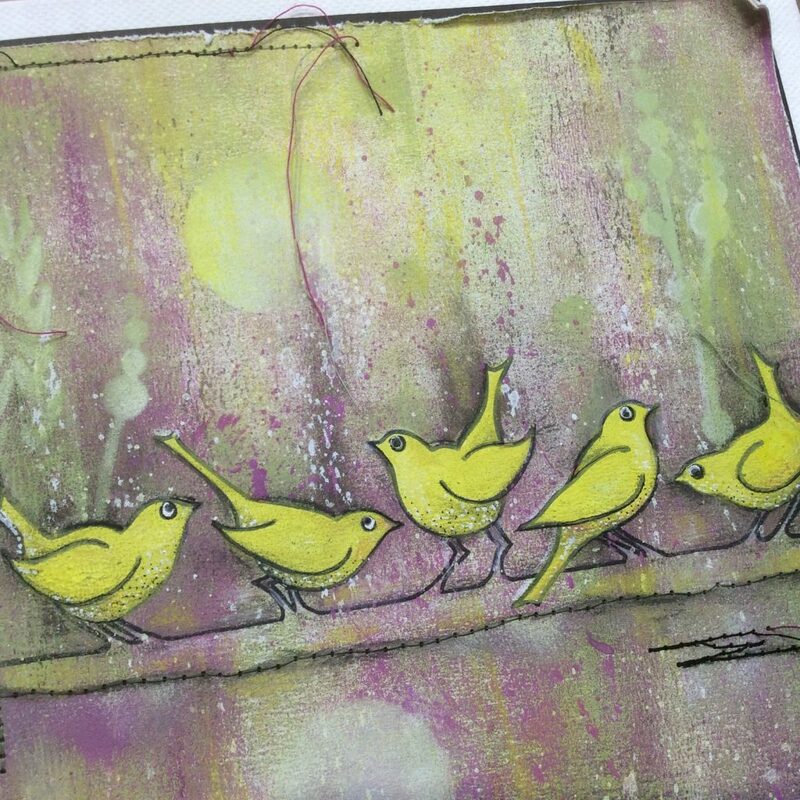 Love stitching on cards and got my sewing machine fixed last year so I could do this….did a few and then forgot! Thank you for reminding me ! 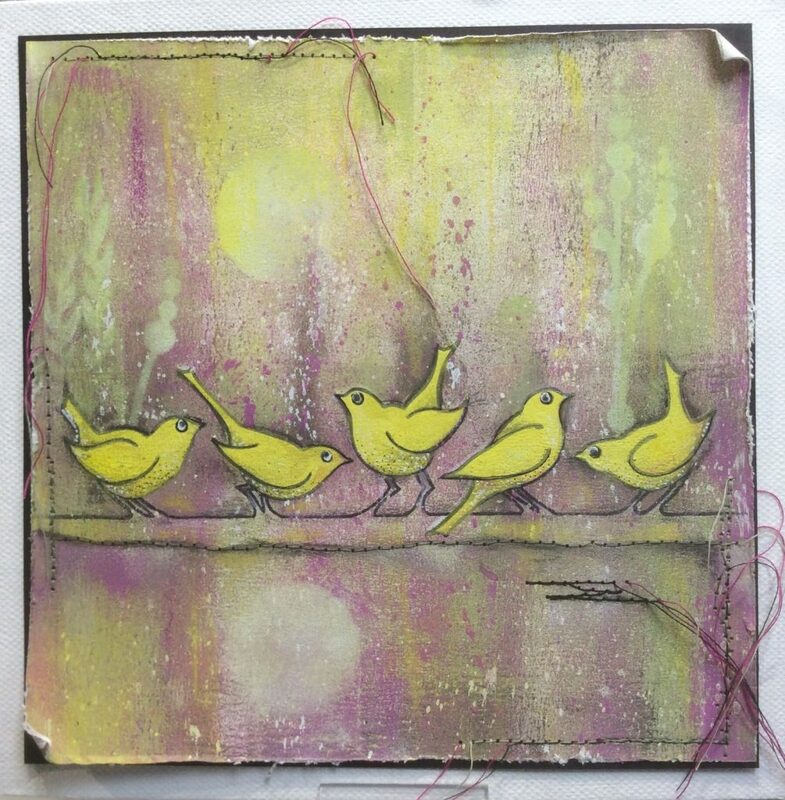 You have put your own fantastic spin on this card ..love the birds and the whole composition is just lovely. gorgeous and lovely brave departure from your usual style. Well done on taking another step, it's alwys a daring thing to do. 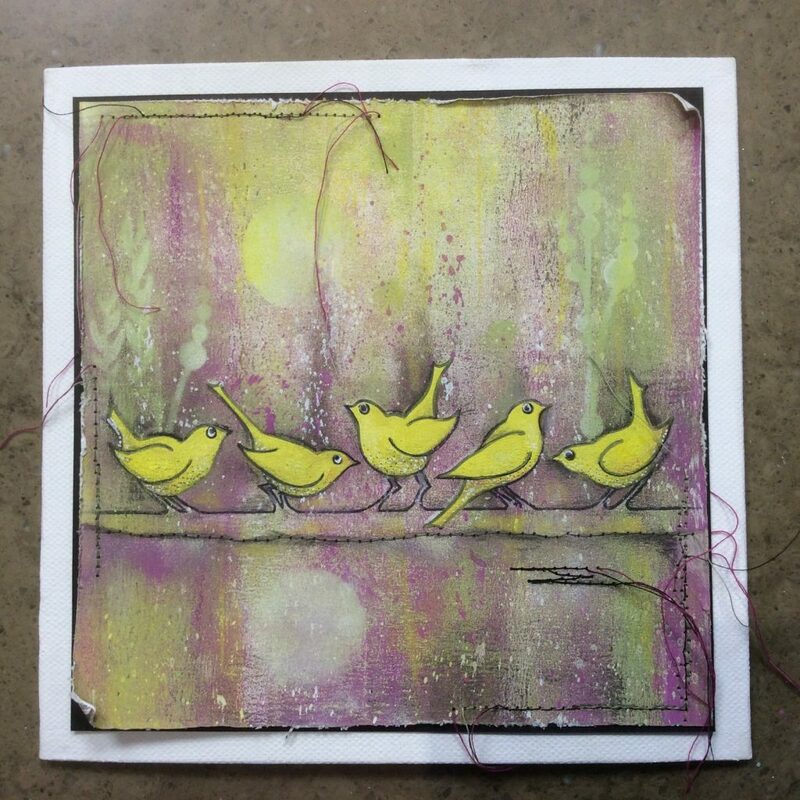 What a gorgeous result with the paint Barbara…the card looks stunning, also because of the sewing! I love, love, love it. 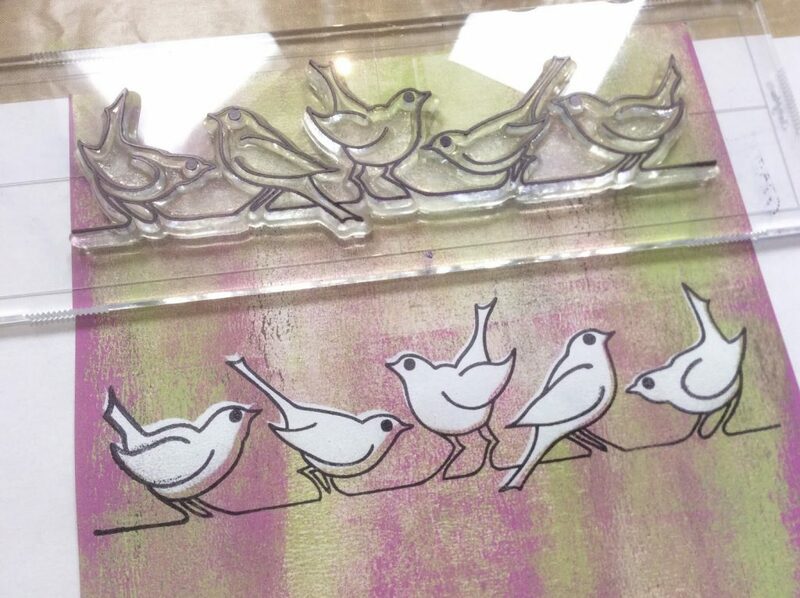 The background is gorgeous and the little birds are fast becoming a favourite. The stitching just adds something to the overall effect and it is always good to try something new. I struggle leaving my comfort zone and find any dark shades quite scary. 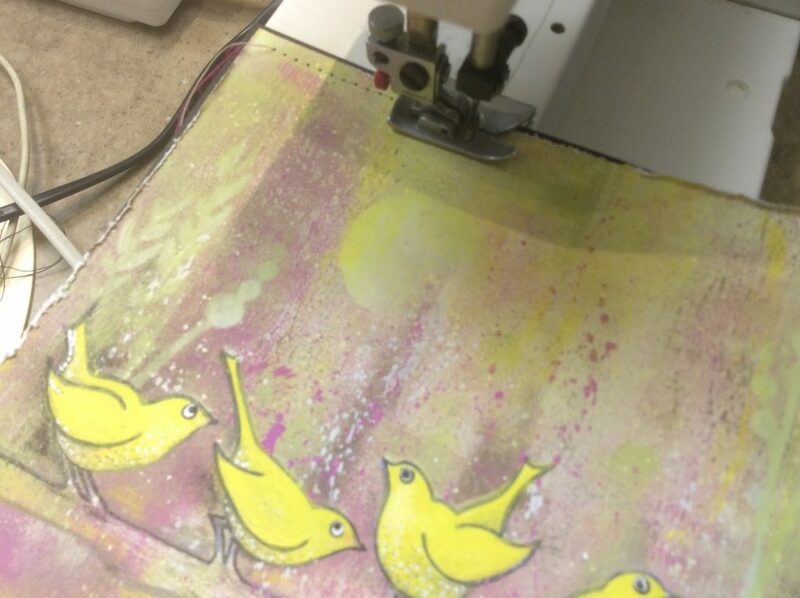 I am trying to use more bold colours and will be getting the sewing machine out too. Thank you for sharing this lovely art with us. Great result.I have to admit that at first glance the jury was out on the sewing but on closer inspection it's great! 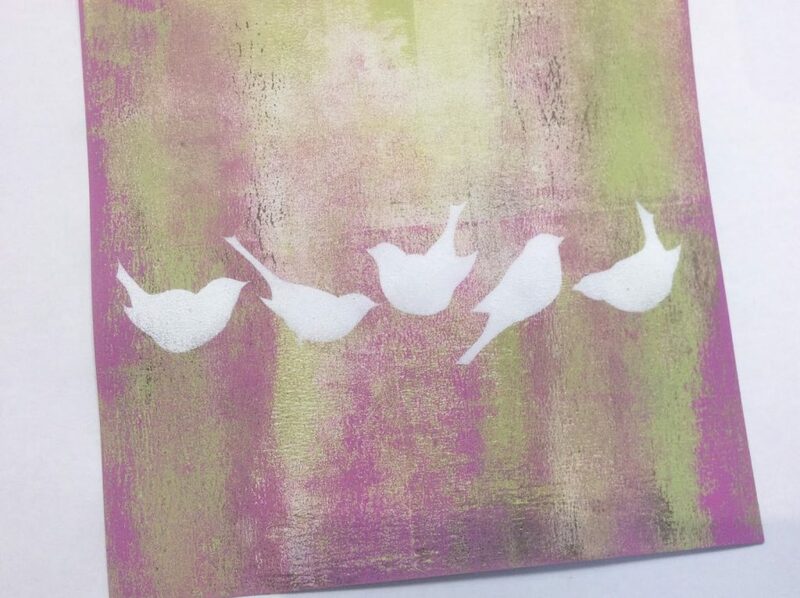 I am also quite a safe crafter but have been gaining confidence to try new stuff. It's very reassuring to know that even Barbs starts somewhere. Great card and combination of different media! 'Sew' enjoy seeing you experiment, I remember you saying – If you always do what you always did, you always get what you always got. Nice to see the curled edges as well. 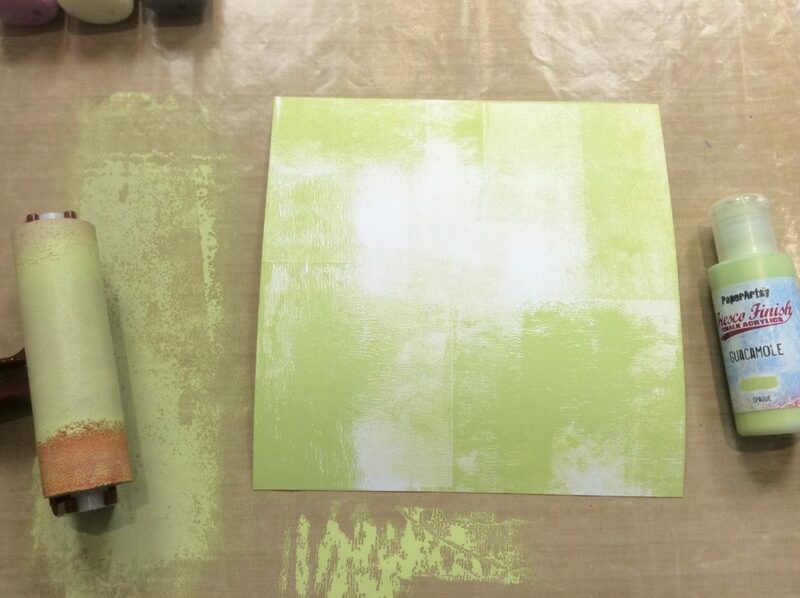 Do you have any plans to make a curled edge stencil for those of us who aren't brilliant at drawing and need to keep the depth of the card to a minimum for postage? We all need to explore, move and grow. If you stayed still Clarity would never develop product. I'm a stitcher, and stitch on paper all the time. You won't damage the machine. Fresh needles, and regular dusting out bobbin area. Well done on the sewing Barb, I laughed at your antics, as I can't imagine not having a machine, nor some matching threads to go with it.. Keep up the good work, machines don't bite! Morning Barbara – I think "good on you" for trying out new techniques….I'm always a little too neat even though I try to be messy, I always have to "tidy things up" before I think they're finished. I really admire Sam & Karen's work, it's so very different. 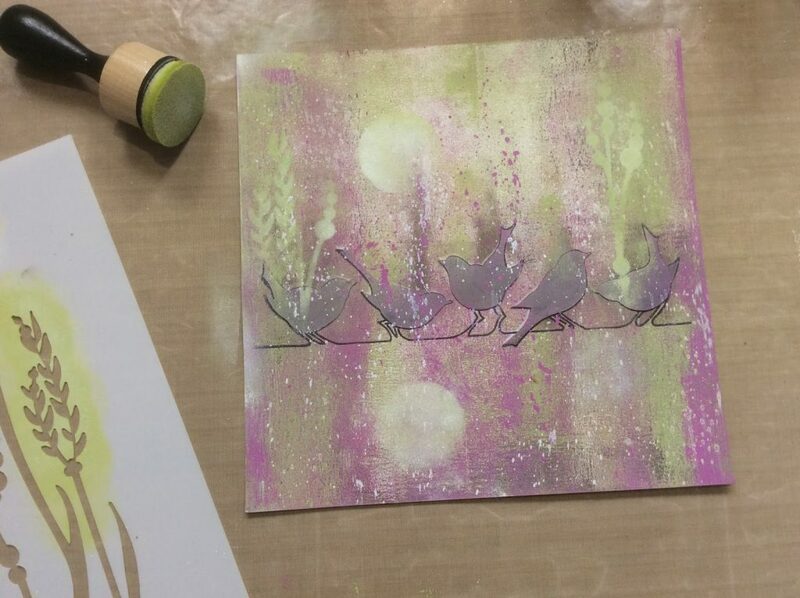 Fair play to you for trying new things – I love this piece, it's fab! Amazing! I can never find the words to describe your creations, Barbara. They never fail to give inspiration!